Thiruvattar Adikesava Perumal Temple is a Hindu temple in Tamil Nadu, India. It is surrounded by three rivers called the Kothai, the Pahrali and the Thamirabarani. It is hard to give an exact date and year when this temple was founded but according to Tami hymns it can be dated from the 7th and 8th centuries C.E. The word “Adikesava” literally means “the foremost friend” and according to one of the legends Swami Adikesava defeated a demon called Kesi whose wife decided to pray to two rivers: the Ganges and the Thamirabarani. And this prayer created a huge destruction. The demon’s wife surrendered to the Lord in the end but the formation of the three rivers had already made a circle which is known under the name of Thiruvattaru. Another legend depicts this story in a bit different way: It says that Kesi, who saw her brother defeated, wanted to avenge the defeat along with her friend Kothai, who took the form of a river and surrendered the river on all sides with an intention to submerge it but the mother earth named as Goddess hoomi upheld the temple, which is why the temple is found located at a height of about 55 feet from sea level. The rivers were cursed by Perumal but since they repented for their action, Perumal forgave them and then took a dip at the place where the rivers meet the Arabian Ocean, which is still celebrated even today as the “Painguni Utsavam” where Perumal comes and enact this act of forgiveness for his curse. 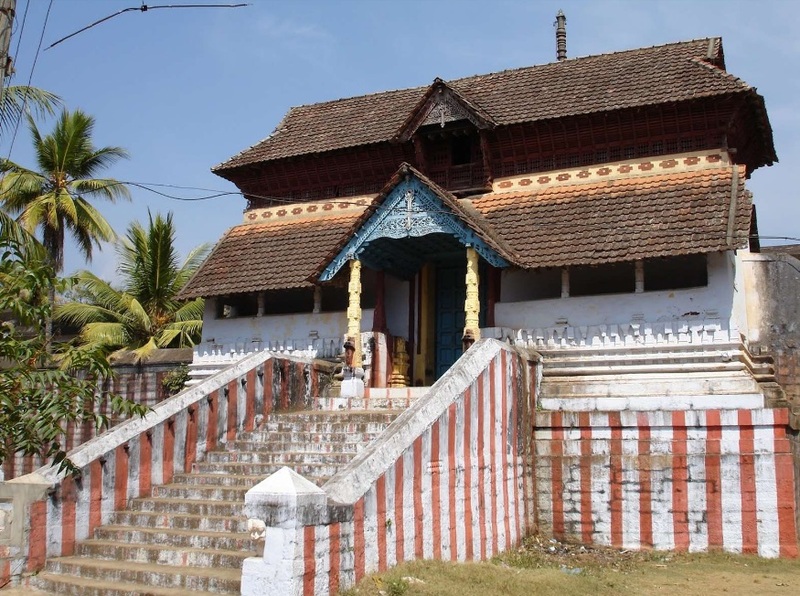 Thiruvattar Adikesava Perumal Temple is an excellent specimen of artistry from the Kerala blend, it epitomizes the will power. The Udaya Marthanda hall which is found in front of the temple illustrates the very sophisticated marriage procession of Lord Ganesha, which is vividly described in various Puranas. The speciality of this temple is that the two idols of Adikeshava and Padmanabha faces each other. The Supreme Lord, who is actually Vishnu or Narayana and is one of the trinities of the Hinduism, is seen resting on his snake couch. Even Lord Shiva can be seen present at that place. Though there are several festivals associated with this temple, the most famous ones are the ones which are called Perunthamirthu,Kalapa Poojai. This takes place in the month of Thai is celebrated for about 12 days. The other most famous festival is in the month of Punguni, the festival is widely known as Punguni festival and it is celebrated for about 10 days. Apart from all these big celebrations, there are some other smaller ones all through the year which sees a lot of visitors. Saturdays festival in the month of Puratassi. The festival of Thiruvonom in the month of Avani is worth mentioning. The most attractive of them all is the “Vaikutha Ekadasi” festival during which Milk Kheer and other such types of delicious dishes are made as part of the Prasadam. This festival is known as corkkavazhal and it usually takes place in the month of Markhazi. Since there are plenty of festivals and rituals going on through the year, visiting the temple anytime of the year is a real joy. Adikesava Perumal Temple is opened for visitors every day at 4.30 am. – 12.30 pm. and 5.00 pm. – 8.00 pm.